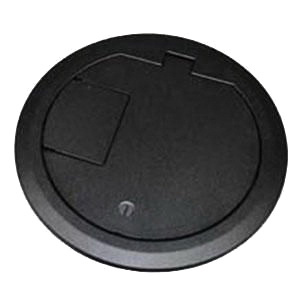 Wiremold CRFB Series™ Solid surface style cover assembly in black color, features die-cast aluminum construction for effective corrosion resistance. This assembly with 9-3/16-Inch Dia is perfect for use with CRFB series floor boxes. Cover assembly is RoHS compliant.